We offer a full range of products to handle all of your cold-chain packaging needs. Pharmaceutical, Veterinary, Cosmetic,Confectionary, and Frozen/Refrigerated Food Packaging. Reddi-Crate laminated paperboard packaging helps prevent product damage that can occur during shipping and handling. An excellent replacement product for wooden crates that are shipped overseas, its patented preformed profiles and two end closures form a shipping container that provides superior strength and protection for almost any application. Our padded insulated envelopes for shipping temperature sensitive products. Just add gel packs and ship! We can help you get your small loads where they need to be. Thermopod: Are You Looking for something cost effective and "Green" to ship your temperature sensitive products? Check out the Thermopod under Temperature control packaging: 100% Biodegradeable and Cost effective as well! The dilemma Companies face when looking for "Green" solutions to their current packaging is how to do so while maintaing or hopefully decreasing their bottom line costs. What sets Spencer Packaging apart from our competition is the ability to make "Green" also cost effective! 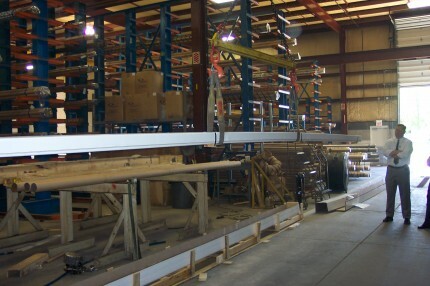 We offer a full line of packaging machinery and supplies. The biggest challenge most companies face is finding the right packaging system for their particular application. We have the experience,vision, and products to make sure you are maximizing your productivity, reducing or eliminating damage, and thereby maximizing your profitability. CustomPackandShip.com is an information packed website that covers the whole spectrum of shipping and packaging companies, products and services. © 2019 Spencer Packaging All Rights Reserved.